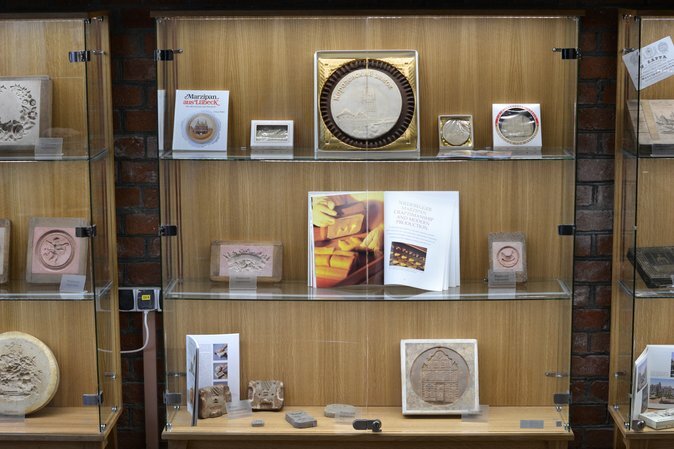 Marzipan Museum is a new fragrant point on the tourist map of our city. 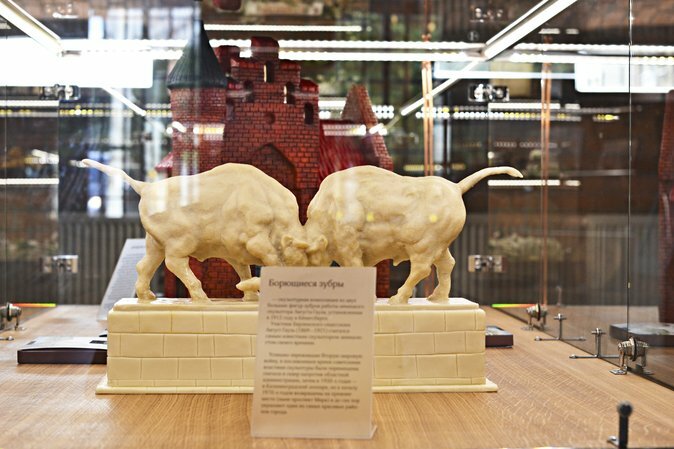 Königsberg Marzipan made East Prussia famous around the whole world; and now the museum, which opened in the Brandenburg Gate *, aims for becoming one of the attractive objects of cultural and educational tourism for guests and residents of the city. 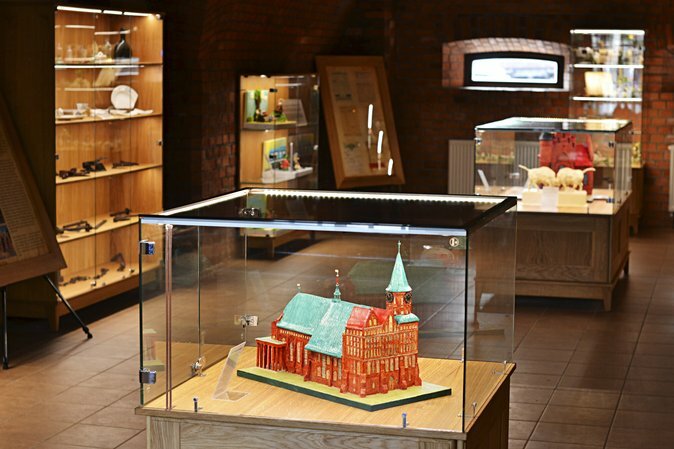 In the museum you can connect with history and have a look at precise copies of the Königsberg landmarks made from marzipan by Pomatti confectioners, authentic antique moulds for making confectionery masterpieces, as well as unique metal and wooden packages for marzipan sweets, books about marzipan from around the world, postcards, photos, stamps and other original exhibit items. The museum exposition is constantly updated and the admission is free from the very day of opening! *Among Königsberg gates that have survived to this day, the Brandenburg Gate is the only one that remains a transport object. The building is renovated and protected by the state as landmark, which refines Bagrationa Street.